Snowplow Sam is for our new and beginner level skaters ages 3-6 years old. Snowplow Sam includes 2 progressive levels, teaching young skaters how to stand up, march forward, balance and glide. Class time is 25 minutes. Basic skills teach the fundamentals of ice skating for skaters ages 6-12, including forward and backward skating, stops, edges, crossovers, and turns. It includes 6 progressive levels for skaters to achieve at their own pace. All skaters 6 and older will start in our Basic Skills group. Class level is 50 minutes. For skaters 13-18 and covers our basic skills curriculum including forward and backward skating, stops, edges, crossovers, and turns. Class level is 50 minutes. Our Adult LTS Group is for skaters ages 18 and older who want to learn how to skate and/or improve on their current skating skills. This curriculum will cover quality skating pushes, balance, edges, stopping, and more! Class level is 50 minutes. What can I expect the first day of class? Arrive 20-30 minutes early on the first day of class to be sure you are able to check-in your skater, get skates on, and bundled up before class. All levels will meet their coach off ice on the first class of the session. Parents are not allowed on the ice or in the hockey boxes during Learn to Skate. We kindly ask parents to sit in the stands during class. What Group/Level should my skater start in? All beginning skaters between 3 and 6 years old are placed in the Snowplow Sam Level 1 class. All beginner skaters ages 6 and older will start in Basic Skills Level 1. On the first day our coaches will ensure that skaters are in the level that best suits their skills. We highly encourage all skaters to wear helmets when on the ice. Helmets are required for skaters in Snowplow Sam, Basic 1, and Hockey LTS Levels. Skaters are encouraged to wear layers, with a sweater or jacket, waterproof pants, gloves, and a hat/helmet. As skaters warm up layers are often shed as the skater acclimates to the cold. As you move through our program and into our hockey or figure skating programs the skaters may be encouraged to change attire, however that will be determined with time. When it comes to ice skates, thin socks work best. What skates should I put my child in? If you have a new skater, we recommend figure skates for the first few sessions. Figure skates help new skaters balance a little more easily when they are first starting out. If the intention is to move the skater to hockey skates, speak with your coach to determine the right time for the transition and make sure the skater is aware of the differences between the two blades. This will prevent frustration and will prepare the skater for success. Skates should fit snug, we recommend one size smaller than the shoe size and thin socks or nylons are suggested. Should I buy or rent skates? We suggest new skaters take advantage of rental skates for their first session or two. 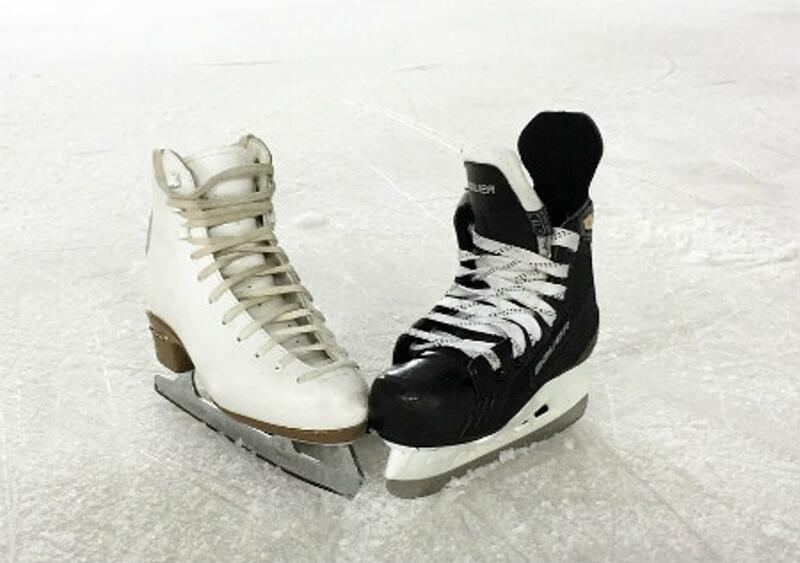 Once the skater gets more comfortable, we then suggest purchasing a pair of hockey skates or figure skates. Our coaches have a lot of experience and can point you in the right direction of where to go and skate brand. What is your refund or make-up policy? We do not offer pro-rated costs if your skater can't attend all session days. If your skater misses a class they may do a make-up class on a different class day during the week - just let a coach or the program director know. Otherwise we do not offer refunds or credits other than extenuating circumstances that must be shared with the program director and is up to their discrection. Like us on Facebook for community updates! Interested in Becoming a Learn to Skate Coach? If you or someone you know has skating experience and would be great at sharing that passion with others, then we want to hear from you! We are looking for enthusiastic and qualified coaches to join our growing program! ©2019 Southside Ice Arena / SportsEngine. All Rights Reserved.